Welcome to Gadget Dreams and Nightmares, the column that delves into the latest gadget announcements in search of something dazzling, life-changing or simply ridiculous. In our grab bag this time around are a novel way to track your time, a smartwatch for kids, and a musical controller you can put together yourself — and it just happens to be made of cardboard. As ever, these are not reviews, because I haven’t even seen these items in person, let alone held them in my grubby hands. The ratings reflect only how much I’d like to try each item. More often than I’d care to admit, I feel the seconds, minutes, and hours of a day slip into the ether before I realize it’s happening. When it’s time for bed and I try to take stock of my day, it’s difficult to recall exactly how I spent my time. Timeflip (pictured above) seems like a terrific way to keep track of where all that precious time goes. It’s a 10-sided, die-like device that you simply turn to log the activity you’re engaged in at a given time. An accelerometer detects which side of the shape is active, and through a Bluetooth connection to your phone, it tracks how long you’re engaged in that action. It comes with a bunch of printed stickers as well as some blank ones, so you can customize it to reflect the things you do most often. However, you need to register for an account, which seems superfluous unless you want to access your activity data from the cloud. Timeflip seems to do that trick all the best gadgets have mastered: doing one thing really well in a way that improves one’s quality of life. Well, maybe that last part overstates it a little — but it’s a different type of activity tracker that at least might provide you with the data you’re looking for to make the changes you want to make. I’m absolutely interested. And now, a smartwatch for kids. Nanoblock have teamed up to create Omate x Nanoblock. If the engineers spent as much time working on the device as the marketing teams spent coming up with the name, it doesn’t exactly inspire confidence, but I’ll give them the benefit of the doubt. 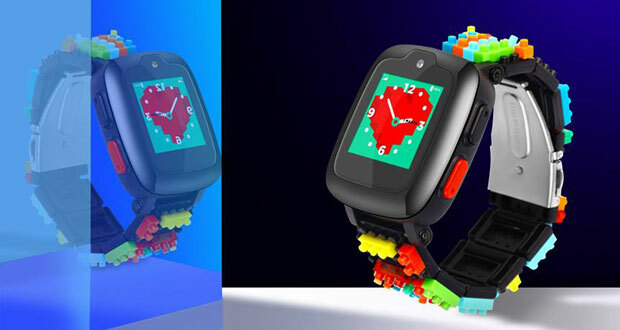 The watch features colorful bricks — don’t call them “Legos” — around the wristband, and it certainly has the kind of aesthetic children will enjoy. It has 3G connectivity and determines a child’s location through a blend of cell networks, GPS and WiFi, and concerned parents can find the watch’s location through an app. Should a youngster feel in danger, there’s an SOS alert function. Parents can keep in contact with their offspring with a voice chat feature, and there’s an alarm and stopwatch to keep the wearer in good time. Perhaps most attractively for kids, there’s a selfie camera to help them capture those fun moments with their friends. At US$179, including a one-year, 100-MB per month data plan, it’s certainly going to be less expensive than a smartphone for those who might just be too young for them anyway. I don’t have kids, so I can’t really speak to how much this would fit into my life. Parents will have to consider the privacy implications for their kids before buying Omate x Nanoblock, but it could be a solid way to help ensure their safety. Here’s one for the more musically minded. On the heels of the announcement of Nintendo’s cardboard Labo attachments for the Switch console comes a MIDI controller that is, yes, made of cardboard. It can connect to computers and mobile devices, and you assemble it yourself with punch-out cardboard keys connecting to silicon sensors and a circuit board. The Kami-Oto controller can connect over Bluetooth or micro USB, but if you don’t have a device on hand to connect to, fear not! There’s a little speaker that can help you make music wherever you may be. Kami-Oto for around US$46, which seems fair, for the Bluetooth version and additional cardboard sheets. The micro USB model will require a pledge of around $28. It’s a neat device, even it’s going to be less about tinkling the ivories than slapping some thick paper. It’d sure beat trying to tap out an idea for a song or musical phrase on a phone keyboard for musicians, especially those without the budget to splurge on a baby grand. Want to advertise a IT Position?